WAN CHAI, Hong Kong - March 4, 2019 - PRLog -- The government is targeting economic growth of 6.0 to 6.5 percent in 2019, Li said at Tuesday's opening of the annual meeting of China's parliament, less than the 6.6 percent gross domestic product growth reported last year. 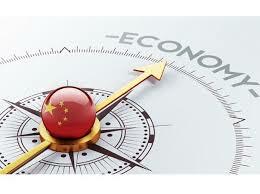 Sources told Reuters earlier this year that China would cut its 2019 growth target to 6.0 to 6.5 percent from the 2018 target of around 6.5 percent as demand at home and abroad ebbed, and a trade war with the United States heightened economic risks. Adopting a target range rather than a single growth figure gives policymakers' room to maneuver as the world's second-largest economy slows further. GDP last year expanded at its slowest pace since 1990 due to the trade war and Beijing's crackdown on financial risks, which raised corporate borrowing costs and hurt investment. A longer-term campaign to curb polluting and low-value industries also slowed China's vast manufacturing sector. To help shore up the economy, China's fiscal policy will become "more forceful", Li said, with the government penciling in cuts of nearly 2 trillion yuan ($298.31 billion) in taxes and fees for companies. Value-added taxes will also be reduced to support the manufacturing, transport and construction sectors. With the economy losing steam, China's top leaders are closely watching employment levels as factories could be forced to shed workers, despite a more resilient services sector. China will cut the value-added tax (VAT) for the manufacturing sector to 13 percent from 16 percent, and the VAT for the transport and construction sectors to 9 percent from 10 percent, Li said. The government will also reduce the social security fees paid by companies to 16 percent, the premier said. China will monitor more closely the job situation at exporting companies heavily exposed to the U.S. market, Li said. The government aims to create more than 11 million new urban jobs this year and keep the urban unemployment rate within 4.5 percent, he added, unchanged from its 2018 goals. China last year cut taxes and fees worth 1.3 trillion yuan and allowed local governments to issue 1.35 trillion yuan in special bonds to fund key projects. The special bond issuance quota for local governments has been set at 2.15 trillion yuan, the finance ministry said in a report on Tuesday, as China ramps up infrastructure investment. This year, the government has set a budget deficit target of 2.8 percent of GDP, up from last year's 2.6 percent, reflecting lower tax revenue and higher government spending. The government has also set a consumer inflation target of around 3 percent, Li said in his report at the opening of the National People's Congress (NPC) on Tuesday, despite a recent softening in price rises to less than 2 percent, leaving space for Beijing to stimulate consumption. China has lowered reserve requirements for commercial lenders five times in the past year to spur loans to small and private companies - vital for growth and jobs. The government will keep monetary policy neither too tight nor too loose, and will not resort to a flood of stimulus, Li said, with growth in M2 money supply and total social financing this year to be in line with nominal GDP growth. China will use policy tools such as the reserve requirement ratio and interest rates in a timely way, stepping up targeted reserve requirement ratio cuts for smaller and medium-sized banks to support private and smaller firms, he said. China aims to increase lending to small companies by large commercial banks by more than 30 percent this year, the premier said. China will deepen interest rate reforms and lower real interest rate levels, he added, without specifying the type of interest rates. China will control the pace and intensity of its structural deleveraging efforts, the National Development and Reform Commission (NDRC), the state planner, said in its report also released on Tuesday. Shadow banking risks will be resolved in an orderly way, and China will steadily deal with local government debt risks, the NDRC said. A balance will be struck between stabilising economic growth and fending off risks, it said. Of China's 31 provinces, regions and municipalities, 24 have already lowered their growth targets for this year, especially export-driven coastal areas. In 2018, 17 provinces set lower targets. China will continue to promote Sino-U.S. trade negotiations, according to the government's work report published on Tuesday, and is committed to safeguarding economic globalisation and free trade. China is committed to mutually beneficial cooperation, win-win development and settling trade disputes through discussion as equals, the report said. U.S. Secretary of State Mike Pompeo said on Monday he thought the United States and China were "on the cusp" of a deal to end their trade war, adding to recent positive signs about negotiations from both sides of the Pacific. Experienced, local and independent, we have deep knowledge of markets and what causes change; we have local roots in Hong Kong but maintain a global reach and worldview; and we're a truly independent business which allows us to give you sound investment advice based on facts, not spin. We started with one goal in mind: provide custom investment portfolios to fit your specific investment needs. Our client's love that we're able to tap into all of the same data, information and resources as larger investment houses, all the while offering a bespoke service to each and every client, as their situation requires. Visit www.reliancetradingco.com to view our products and services, or contact us at info@reliancetradingco.com to discuss your wealth management future.